More than just a design fair! Since its start in 2006 the main objective of WAMP is to become an initiative actor in design, and to promote and market designer products. Its further aim is to bring outstanding quality design closer to people and make it available to a wider public. A significant part of this process is to open up discussions between the design industry and the audience, designers and customers as well as among customers. WAMP serves as a significant platform for designers. By now the initiation has grown out from a small cosy market into a highly respected international design fair. Beyond providing a marketing and selling platform to nearly 700 designers, it supports artists also by organising workshops on branding, pricing- and selling techniques and on other practical topics. Exceptional talents are highlighted in the WAMP+ section which offers special display and a distinctive installation for the selected designers. WAMP is happy to collaborate with other initiatives and creative projects: it is regularly invited to work on temporary project, and participates in the coordination and execution of tenders. The outcome of these partnerships is often displayed on the WAMP fair itself. This is how the painted plastic cows, the KLM award-winning design-suitcases or the fashion show of the Design Week landed on the ground of WAMP fairs. 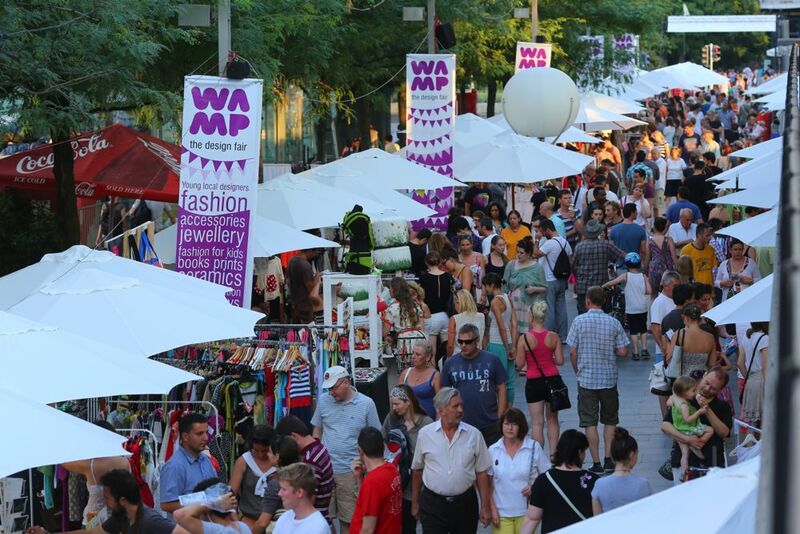 WAMP operates as an umbrella organization working close with other international design initiatives. In 2008 it showcased Dutch designers, and in 2009 it celebrated Finnish design in Budapest, and it has also participated in international design events in London, Helsinki, Peking, Torino and other world cities.